Manufacturer & Supplier of Stainless Steel 316L Pipe Flanges, SS 316L Slip on Flanges, Steel UNS S31603 Lap Joint Flanges, Stainless 316L Blind Flanges Exporter in India. We, Neon Alloys are Manufacturer & Exporters of Stainless Steel 316L Flanges that are fabricated from high quality of standard raw materials. These are used in various industrial purposes and majorly used to join the pipes. Our offered SS 316L Flanges range is precisely manufactured by our qualified and experienced professionals by making use of cutting-edge technology and quality-tested stainless steel in compliance with set universal norms. The se SS 316L Pipe Flanges range is highly demanded in the market for its brilliant features in form of SS 316L Flat Faced Flanges, SS 316L SORF Flanges, SS 316L Slip On Flanges, SS 316L Weld Neck Flanges, SS 316L WNRF Flanges, SS 316L Lap Joint Flanges, SS 316L Blind Flanges, SS 316L Plate Flanges, SS 316L Forge Flanges, SS 316L Socket Weld Flanges. 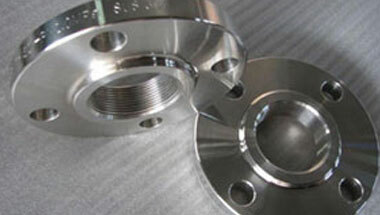 These Stainless Steel 316L Flanges offered by us meets the specific process needs of various industries like Chemical, Refinery and Oil & Gas industry and other industrial applications etc. Stainless Steel 316L Flanges Manufacturer, SS 316L Plate Flanges, Steel WNR 1.4404 DIN/ASME Pipe Flanges, SS UNS S31603 Socket weld Flanges Suppliers in India. Dimension ANSI/ASME B16.5, B 16.47 Series A & B, EN-1092, BS4504, BS 10, B16.48, DIN, etc. Available Sizes – 1/2" NB TO 24" NB. Trinidad and Tobago, Germany, Mozambique, Africa, Nigeria, Uganda, Iraq, New Zealand, Tunisia, Ethiopa, Italy, Sri Lanka, Bahrain, Dubai, Cameroon, UAE, Algeria, Australia, Kuwait, United States, Turkey, Argentina, Colombia, Azerbaijan, Mexico, Malaysia, Ghana, Iran, Morocco, Angola, Chine, Israel, Indonesia, Thailand (Bangkok), Venezuela, Sudan, Canada, Egypt, Russia, Peru, Houston, Vietnam, London, Kazakhstan, UK, Brazil, Democratic Republic of the Congo, Saudi Arabia, Jordan, South Africa. Maputo, Zaria, Benin, Bamako, Luanda, Douala, Aqaba, Pretoria, Kano, Yaoundé, Ouagadougou, Soweto, Muscat, Giza, Ibadan, Abu Dhabi, Algiers, Jerusalem, Byblos, Mogadishu, Dakar, Lubumbashi, Riyadh, Accra, Nairobi, Dubai, New York, Harare, Tripoli, Alexandria, Omdurman, Casablanca, Tel Aviv, Amman, Abidjan, Khartoum, Johannesburg, Port Elizabeth, Bethlehem, Port Harcourt, Hong Kong, Rabat, Durban, Fez, Colombo, Freetown, Singapore, Istanbul, Manama, Dar es Salaam, Jeddah, Kampala, Bulawayo, Beirut, Dammam, Doha, Lusaka, Kolwezi, Sharm el-Sheikh, Tehran, Cairo, Mecca, Cairo, Conakry, Antananarivo, Addis Ababa, Brazzaville, Mbuji-Mayi, Kinshasa, Data from the UN, Subra al-Haymah, Lagos, Kaduna, Maiduguri, Cape Town.